For nearly five decades Packaging Design Corporation has been creating and developing some of the most innovative and brand effective custom packaging. At Packaging Design, we are committed to providing the services your business needs to ship, store, display, and sell your product utilizing visually enticing designs that help increase brand recognition. When you partner with Packaging Design Corporation, we examine the entire production process in order to identify points that need improvement, which helps reduce your overall production costs and increases your plant’s efficiency. With an innovative design staff and state of the art manufacturing capabilities, we are able to design and manufacture high quality custom packaging and displays. 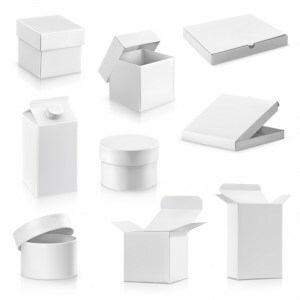 For more information on our custom packaging services or if you have any questions regarding our other custom retail packaging methods, call us today at 630-323-1354. You can also get in touch with us by filling out the contact form located on this page and one of our helpful associates will get back to you as soon as possible. You can have an outstanding product, but how are you letting potential buyers know your product is unique? As good as your product is, it’s not always going to sell itself and that is when you need packaging and branding that draws the shoppers’ attention. Our custom branded packaging isn’t just meant to draw attention to your product, but to convey a message. By highlighting your brand, you are setting yourself apart from your competitors. When you partner with us, we will create a custom box that accurately portrays your brand and succinctly portrays your brand’s identity, communicates your message, and proudly displays your products. This is great for the consumers as they get the full customer experience. If you have any questions or would like more information regarding our packaging services, feel free to call us at 630-323-1354 today. Or fill out the contact form on this page and we will respond shortly.